I used to drop the pork shoulder into a pot of water with the hominy, lime juice, and red chiles, but these days I prefer to give the pork a quick sear first. 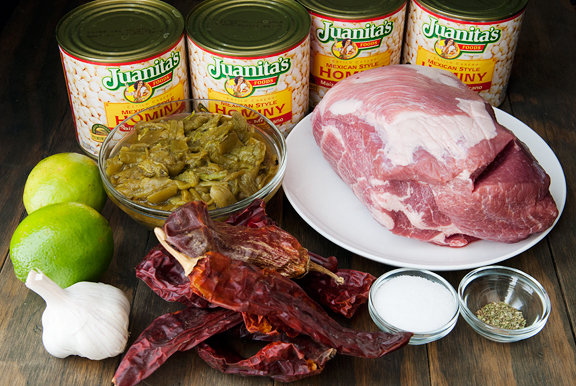 The browning in the pan and on the pork means more flavor, but you can skip that step and the posole will still be great. When I can find a bone-in pork shoulder, I will opt for that over a boneless piece because the bone will lend more oomph to the broth. At this point you are looking at a three-hour simmer or an hour in the pressure cooker or perhaps 8 hours in a slow-cooker. So many options. The goal is to get that pork tender enough to fall apart when you so much as glance at it. 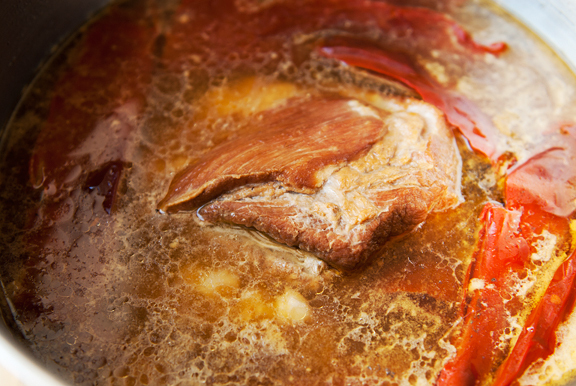 The resulting broth can be de-fatted as you like or not. 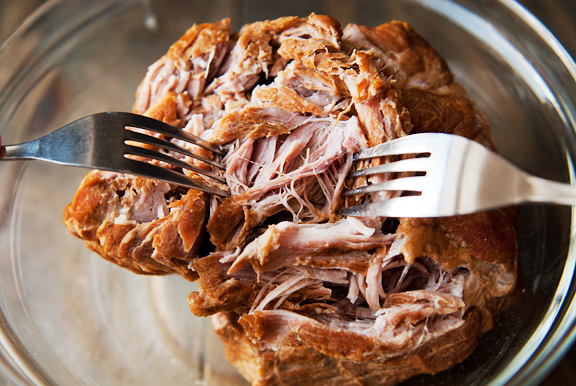 When I shred the pork, I usually discard any hunks of fat or connective tissue and the bone if there is one. 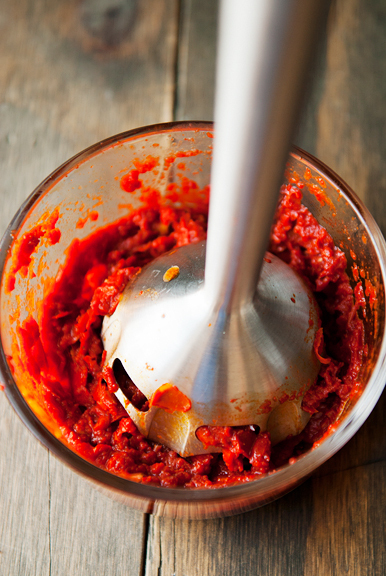 Chop or purée the red chiles into a paste. I prefer a smooth paste, so I use my immersion blender to make quick work of that task (and fast cleanup). From here everything goes into the big pot and simmers for 30 minutes. I usually top mine off with some more water because I like my posole to be soupy rather than stewy. 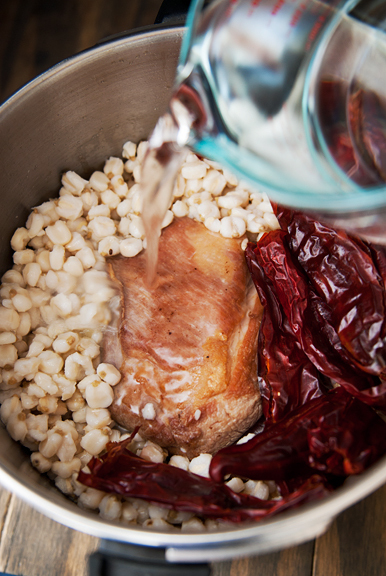 And if you feel that the posole is too soupy, just simmer it down to the consistency that makes you happy. Tempting as it may be to dive into your posole when it’s done cooking, it really does benefit from a day of melding flavors in the refrigerator. There’s a little heat (or a lot in the most recent batch), tang, umami (from the pork), and the sweet earthiness of the hominy. 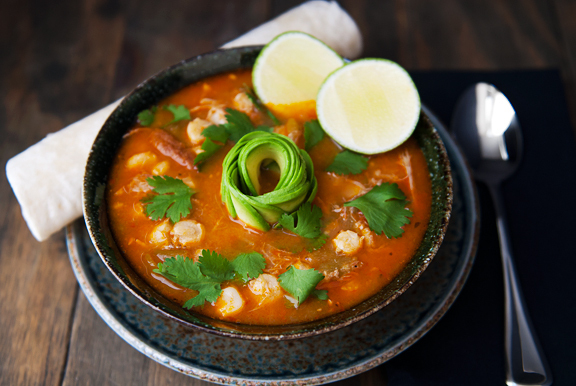 I typically enjoy my posole topped with diced tomatoes, avocado, and a generous squeeze of lime juice. Jeremy likes a bowl of posole with avocado and a warm flour tortilla on the side. 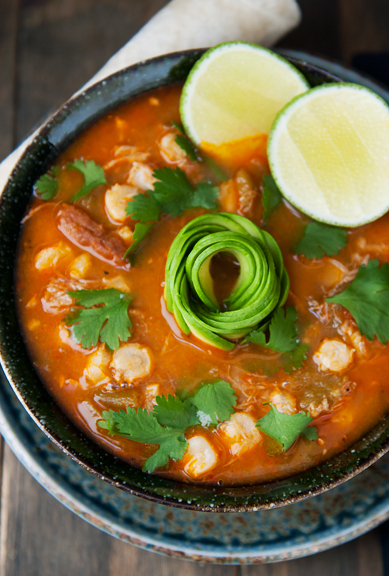 Posole makes for a satisfying meal or you can serve it as part of a larger dinner. I always make a double batch and freeze half of it for quick meals later on. They never last in that freezer for very long. 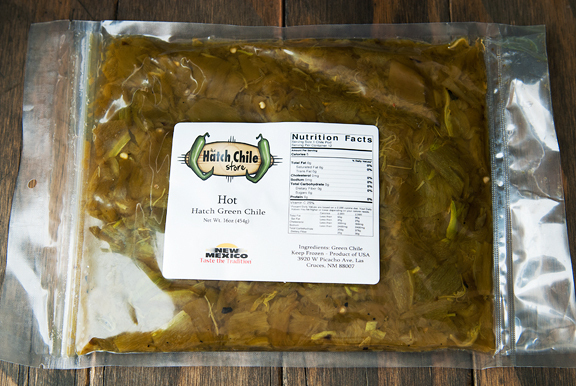 Full disclosure: I received several pounds of New Mexico Hatch green chile varieties from The Hatch Chile Store with no obligation on my part. 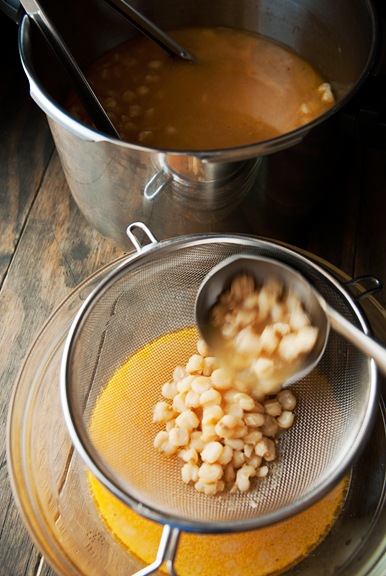 Note: If using dried hominy, soak the kernels in water overnight (8-12 hours). Drain the soaking water. Place the hominy in a pot and add fresh water until the kernels are covered by 2-3 inches of water. If cooking the traditional stove-top method, bring the water to a boil then reduce to a simmer for 90 minutes to 2 hours until the kernels are tender. If using a pressure cooker, place the kernels in the pot and pour in 4 cups of fresh water. Add a dash of vegetable oil (to break up any foam). Seal and lock the lid of the pressure cooker, set the pressure to high (level 2 for my Fagor Duo 8) over high heat. 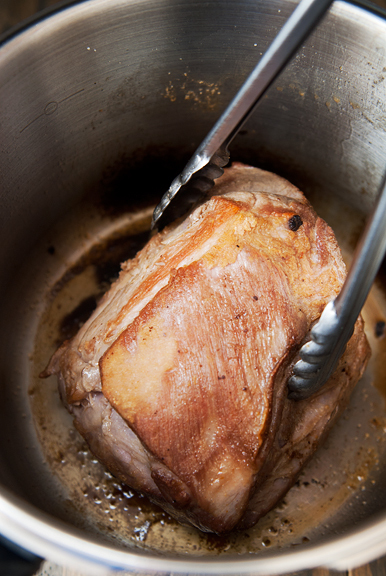 Cook at pressure for 20 minutes, then turn off the heat and allow natural release of pressure. Drain the hominy. 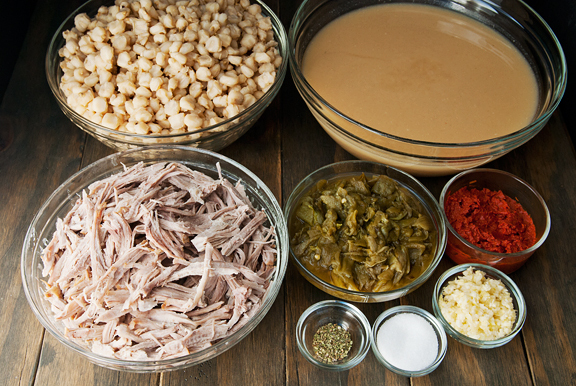 Cook the posole: Season the pork on all sides with 1 teaspoon of salt. Heat the vegetable oil in your stock pot or pressure cooker over high heat and sear the pork on all sides (about 2 minutes a side). 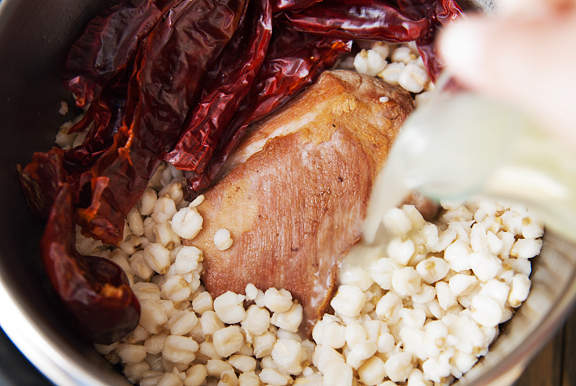 Add the hominy, lime juice, and red chiles to the pork. Fill the pot with water until the ingredients are covered. Conventional method: Bring the liquid to a boil, then reduce to a simmer. Cover and let simmer for 3 hours. Pressure cooker: Seal and lock the lid of the pressure cooker. Set the pressure to high (level 2 on my Fagor Duo 8). Cook at pressure for an hour, turn off heat and allow for natural release of pressure. 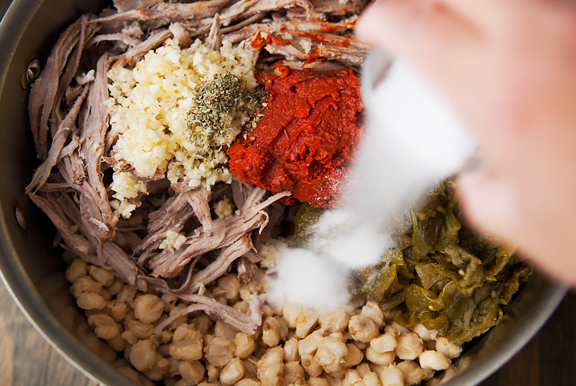 Process the ingredients: When the posole is done cooking, remove the pork to a large bowl or plate. 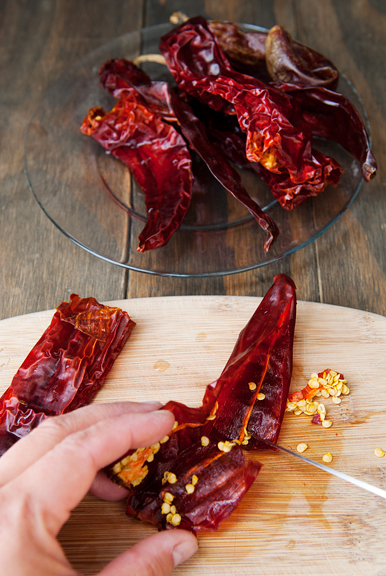 Pick out the red chiles and set aside in another bowl. Strain the hominy, reserving the liquid. 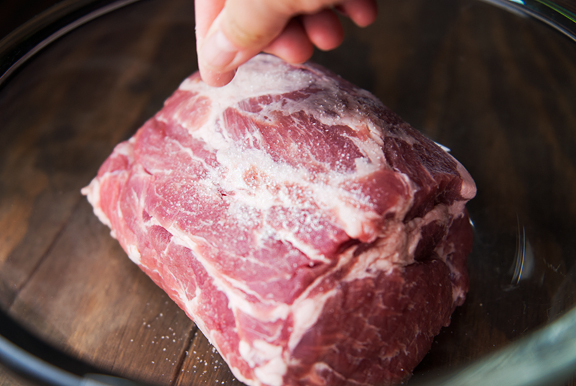 Shred the pork and discard any bone and connective or fatty tissue. 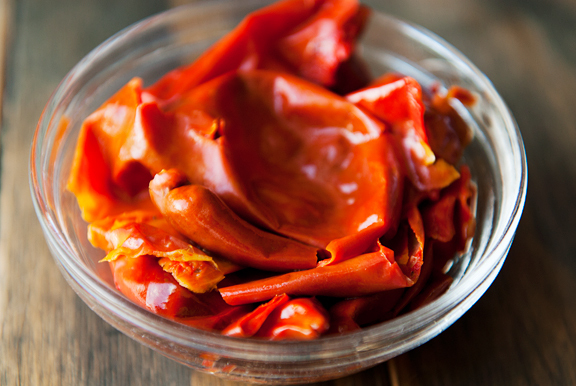 Purée the red chiles with an immersion blender or a food processor or blender. De-fat the broth (optional): Hot method: Ladle the soup into a gallon ziploc bag (use more bags if needed). Seal the bag. Hold a top corner while lowering the opposite bottom corner of the bag into your cook pot. 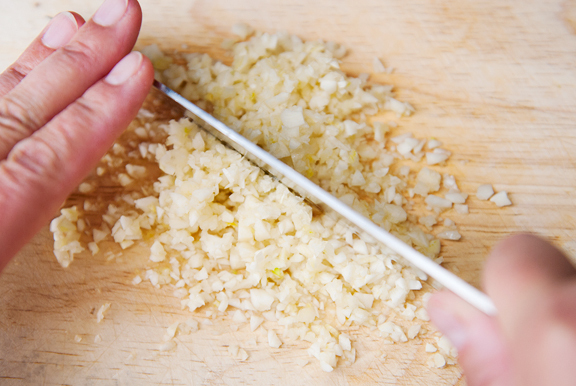 Use the tip of a sharp knife to cut a slit in the bottom corner of the bag. Allow the liquid to empty from the bag – the fat layer should be visible on the top. Before the fat layer reaches the slit in the bag, pinch it shut (be careful if the liquid is hot!) and discard the bag. Cold method: Pour the liquid into a vessel and allow to cool. Refrigerate overnight and skim off any solid fats from the surface. 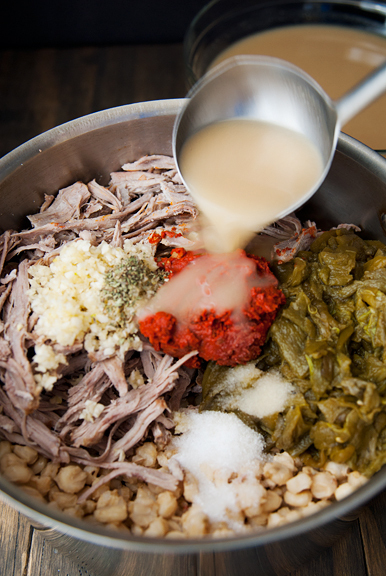 Finish making the soup: Place the shredded pork, red chile purée, hominy, broth, green chiles, garlic, oregano, and salt in the cook pot. Add more water if you desire a soupier consistency. Bring to a boil. Reduce heat and let simmer 30 minutes. Adjust seasoning (salt) to taste. Serve with warm flour tortillas, diced avocado, and lime wedges. Serves 4-6. Freezes well for make-ahead. This looks divine. Can I ask which hand blender you own and if you would recommend it? Hi Jen, I was very surprised to see your recipe. 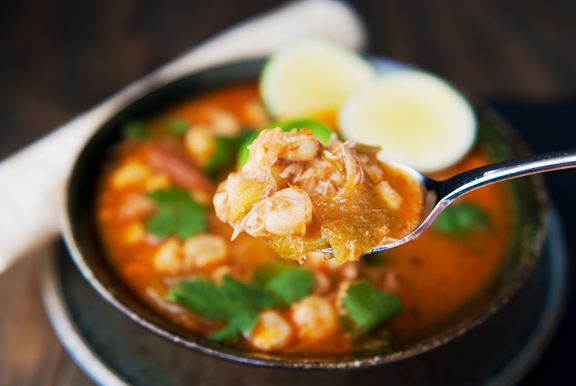 I was born in Mexico and POZOLE is one of those dishes that I love to eat but never cooked. You have given me courage. I’ll try to cook it next week. Yumm! Jen, your fall color shots are so beautiful! 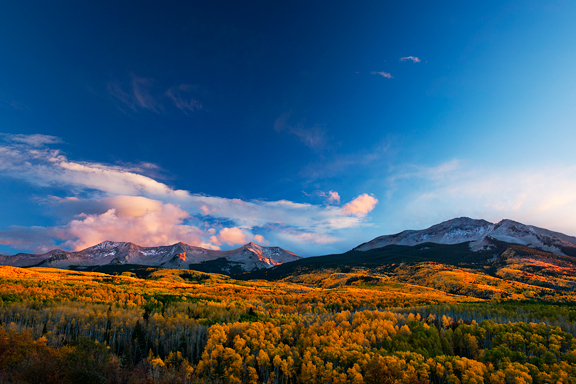 My husband is a serious amateur nature photographer and we’ve been looking at your photos and talking about a trip to Colorado next fall. We live in Michigan so this trip will take some serious planning, flights, car rental and hotel reservations. 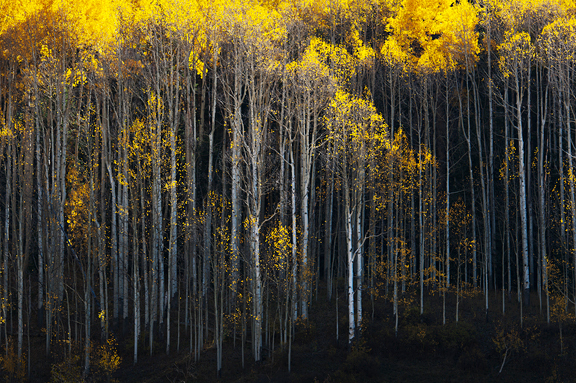 I know fall color is very fickle and subject to weather patterns but what would be the best time to visit? 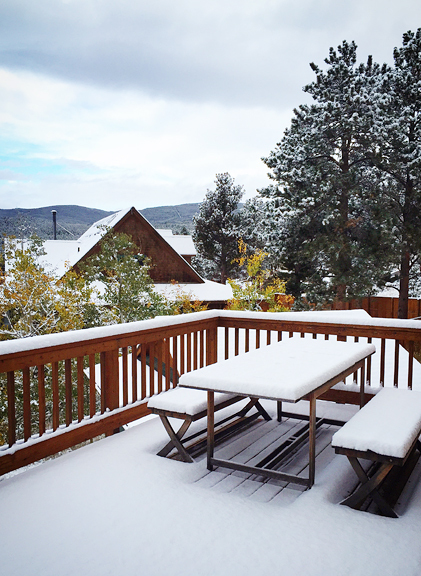 The last two weeks of September? Or last week of September, first week of October? So beautiful, and the avocado rose just blew my mind. Girl you are a badass! POSOLE!! one of my absolute favorite things to eat…. and I’m with Susanne, your avocado rose blew me away, heck yes your badass! I like to throw in a few feet (porcine of course) when I can source them and I get my dried posole from Rancho Gordo and keep a bag (or two) on hand in the winter. While we’re not there yet, it’s starting to get cooler in NOVA and this is going on my list of “fo sho” things to make this Fall/Winter. Tara – I have an All-Clad stainless steel immersion blender (I think it was about $100) and I love it. Easy to use and easy cleanup. 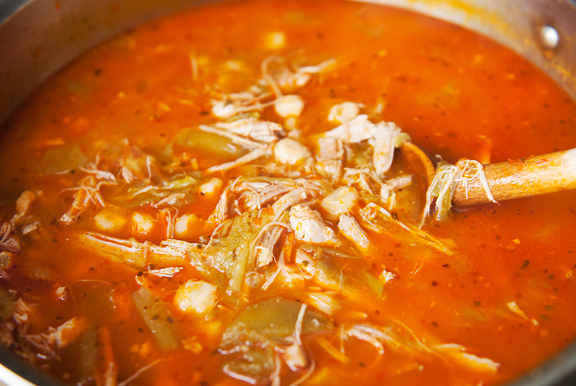 Georgina – Yes, posole is how it is spelled in New Mexico, which is where this recipe is from. Pozole is also another way to spell it (more from the Mexico region). Either way, it’s delicious! 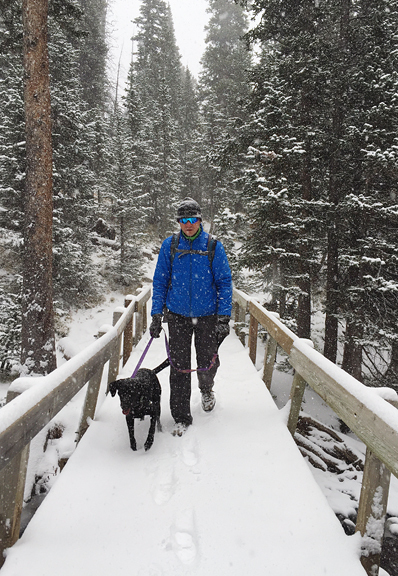 Jill – Generally it is the last week of September into the first week of October for the northern and central mountains, then the first two weeks of October for the southern mountains, but yes – it is highly dependent on weather. I made this yesterday and it was amazing! I’m glad I doubled the recipe so that I’ll have this for lunches. Thanks! !